This topic contains 0 replies, has 1 voice, and was last updated by Captain Currency 3 years, 5 months ago. 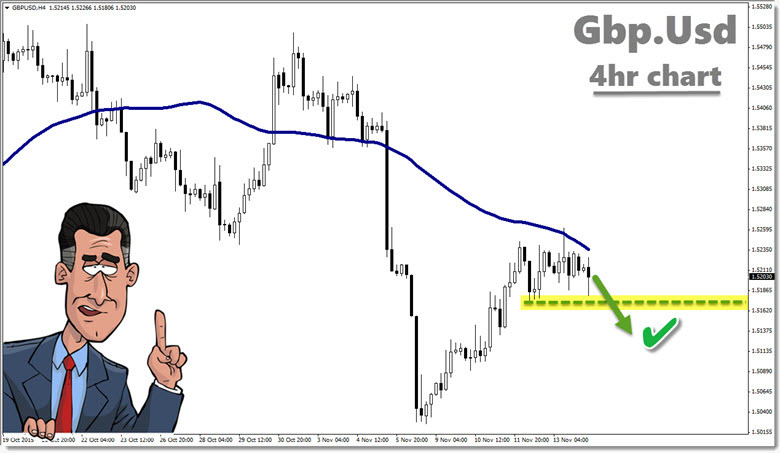 Cable looks a wee bit heavy up at the 1.5200 area, has it topped out? This week I’d really like to see price falling below that 1.5172 area of support (highlighted) on the 4 hour chart and then dropping further south, otherwise we could see a bit more consolidating, yuk!